Our used cooking oil collection service is comprised of used cooking oil (UCO) which is generated from many segments of the food industry, including supermarkets, fast food chains, restaurants and small corner stores that offer fried foods. Many food manufacturers also generate UCO-producing products for consumers. Cooking oil and grease cannot be thrown out or dumped down the drain because of its composition, so instead MOPAC has a yellow grease and used cooking oil service that businesses can utilize at no cost. We have salesmen who receive service calls and immediately give an on-site evaluation to put you in place with an agreement and a container in a swift and prompt manner. After the initial agreement, MOPAC oversees service for both inside and outside recycling container with computerized routing and scheduling. We also are prepared to deal with emergency situations like overflow and spillage. MOPAC provides a range of options for product storage and safety. 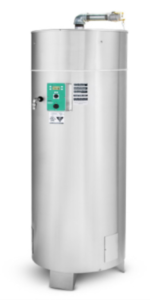 We have enhanced safety requirements minimize incidents of theft, while the additional sanitary requirements can increase financial returns.. Standard used cooking oil storage equipment (for external placement at the rear of an establishment) includes 55 gallon drums and 250 or 300 gallon tanks. All containers are designed to be theft proof and should be locked at all times for safety. 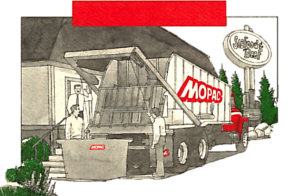 In addition to inside and outside storage, and a variety of sized tanks MOPAC offers a personalized and customized solution. 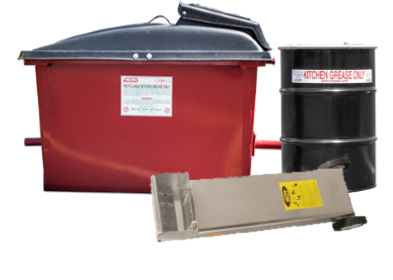 We can offer new and innovative ways to collect grease according to your demands, whether you have multiple locations or multiple on-site collections, multiple users within the same complex, or an industrial process that requires special equipment or treatment. We are innovative in creating a unique solution to whatever challenge your grease collection requires. MOPAC offers a variety of outdoor sizes for customers needing used cooking oil recycling storage containers. Our outdoor containers are always complimentary with our service, which is free as well in most cases. Our outdoor containers are all made with durable materials made for rain and snow, as well as protective features like locks and screens which prevents grease theft. The smallest sizes MOPAC supplies is 2 55 gallon drums or a 110 gallon small tank. Both of these options are perfect for restaurant customers who want to lower their cost but don’t want to compromise of their storefront appearance. Splurging on an inside tank is a big undertaking and can be cost prohibitive. MOPAC offers drums and small tanks so we can service restaurants at no cost and in a safe, effective manner for everyone. Larger restaurants with more fryers and more used cooking oil waste have a few different options. Our outdoor containers can hold up to 200 or 300 gallons of used cooking oil (300 gallons is approx. 2200 pounds).This solution is best for restaurants that are looking for reliable service with a supplementary rebate check for the bulk grease we receive. Some restaurants are hesitant try an outdoor solution because they are struggling with the volume of fryer oil that they are transporting from the fryer to an outdoor container, but we have a variety of caddies that can transport boiling hot fryer oil short distances. These products can be bought outright or the cost can be worked into a service agreement with MOPAC. If appearance is paramount to a customer, and they are trying to avoid bulky units taking up space behind a restaurant we also have several indoor solutions. Our indoor tanks are custom made to your size requirements and grease usage because each restaurant has different requirements and needs for their fryers. They typically hold about 200 gallons, equivalent to a medium tank although MOPAC can commission tanks in a variety of sizes. MOPAC does not supply new cooking oil in a closed system which is actually a benefit. 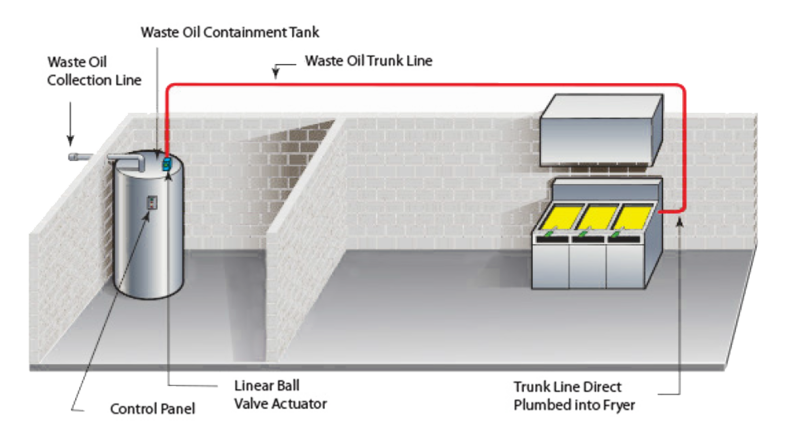 Some competitors install two indoor tanks connected to your fryers, one to funnel in new oil and one to funnel out old oil, but the problem with this is the quality of oil that collectors give customers isn't the best tasting. They usually use a cheap oil that you have to change more frequently to retain taste. MOPAC let's you decide what products your using, and instead we just supply am easy and steady removal service that compliments your fryer usage. Contact us about the price of an indoor tank, or the possibility of paying for the tank in used grease. For an ultimate solution to any and all used cooking oil problems, look to the Grease Buster. It is a large vacuum powered caddy which can hold up to 75 gallons. 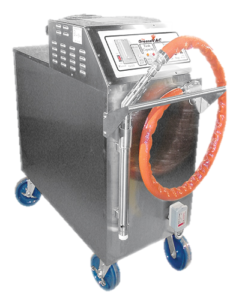 The caddy has a hose and wand attached which is able to clean a boiling fryer in less than 30 seconds. The oil can remain in the caddy until it is full, and then it can be hooked up to an inside tank where it can be emptied and used again. Best for buildings with multiple fryer stations far apart or a very high volume grease usage. For example, we have this solution in place for hotels, food halls, and casinos. MOPAC offers each customer the ability to individually decide what is best for each and every restaurant. Even restaurants within franchises has individual needs that is unlike other stores, so it is important having flexibility to choose what is best for your scenario. A location in the Poconos mountains wants a larger tank with a lock because they have problems with bears, while a location in the D.C. area needs an indoor tank because they don't have any curbside space. MOPAC works with space, availability and budget to accommodate whatever the used cooking oil situation may be. If you don't know how MOPAC can help you today, we can provide a free quote and consultation today. Just submit your information below. Used Cooking Oil Disposal Guide for Residents and Restaurants. Ready to sign up for our Used Cooking Oil Recycling Program or need to still ask a few questions? Leave your info below to have a trade rep contact you about your used cooking oil needs. Mopac currently has 10 account managers in the field daily, covering 12 states in the northeast. Each area field manager has all the necessary equipment needed to handle emergencies such as UCO spills and leaking containers (including customer mishaps) and the logistical and technical requirements of our transportation team.